You are here: Home / Recipes / Wilton Cake Pops! Preheat oven to 350. Spray one 13x9x2 in pan or two 8 or 9 in round pans with vegetable pan spray or Wilton’s Cake Release. In large bowl, combine cake mix, pudding mix, eggs, water and oil; beat at medium speed with electric mixer for 2 minutes. Pour into prepared pan. Bake 30-35 minutes for round pans; 35-40 minutes for sheet pan. Cool in pans 10 minutes; remove from pans to cooling grid and cool completely. In a large bowl, use hands to crumble cake until no large chunks remain. Add icing and mix with fingers until well combined. Form mixture into cake balls or press into silicone molds. Chill in refrigerator at least 2 hours. If using a silicone mold, carefully remove cake ball shapes. Dip sticks into melted Candy melts and insert into cake balls; let set. Wait until candy is completely firm before dipping the pops completely in melted Candy Melts; let set. 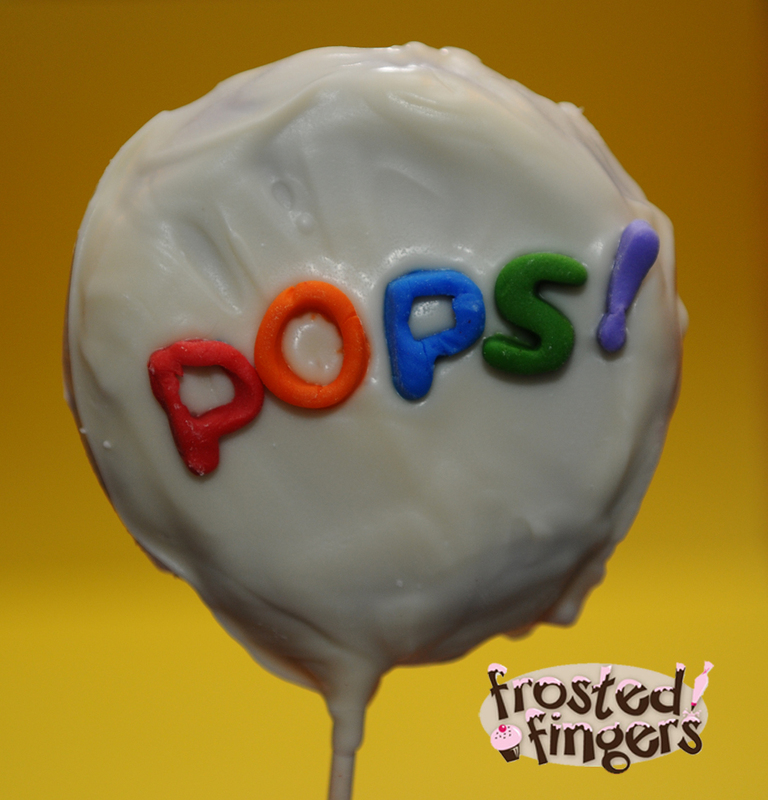 There are so many different things you can do with cake pops! You can make different shapes, add in different mix-ins, dip in different flavored candies or chocolates, cover with fondant… it’s in what you want! For the Pops! cake pop I made above I used red velvet cake mix and baked it in Wilton’s Round Cookie Treat Pan. I melted the candy melts in Wilton’s Chocolate Pro pot. Since they were a little too big to dip I just poured the candy over the pops. I made the letters out of Wilton’s Rolled Fondant that I colored and then cut out with Wilton’s Alphabet Cut-Out Set. 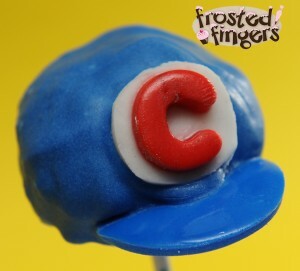 For the baseball pops I used fondant for the bill and logo on the hat. The pops themselves are dipped in Wilton’s Candy Melts and the baseball has frosting for the stitching that I *tried* to dye red. The only product I was disappointed in was the cake pops stand. It kept falling apart and knocking my pops into each other. 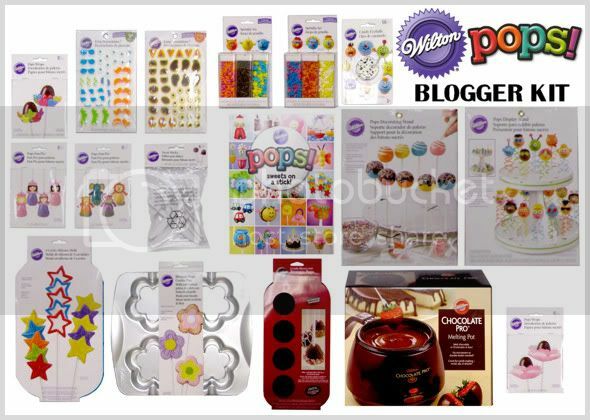 Wilton gave me the products shown above for the bloggers Pops! contest all opinions are my own. Pictures taken by Rob Krueger Photography. Wow those turned out great! I’m so jealous!!!!! Those are ADORABLE! Great job on that hat. 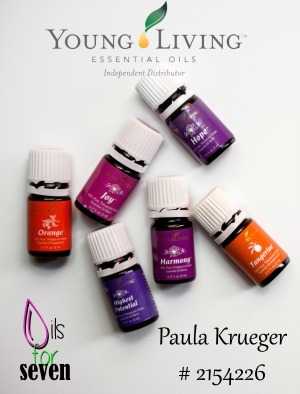 And, I wished I had thought of adding coconut oil . . .I have some, LOVE it, and it would have been so good in the cake! 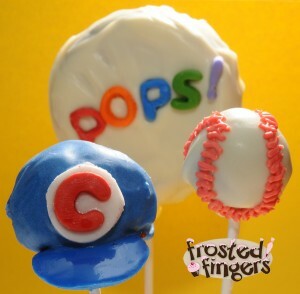 What a fun idea for cake pops! I really like the sports theme. So cute! I love the baseball hats and the detail on the balls. Great job. Makes me want little boys just so I can make them! These are stunning! When I saw them – I knew I would see yours in the top 10 for certain. 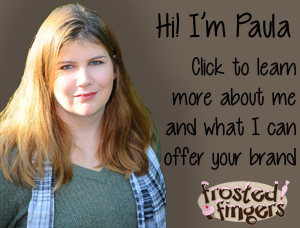 You did a great job, Paula. These were my very favorite! 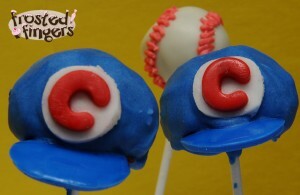 We are such a sports family and with baseball season upon us I can’t wait to try these cute cake pops you made! You did such a great job! I was so sad to see that you weren’t one of the Top 10 – I was gearing up to help you get votes.